it collects everything you like on social media, and puts them in one place. You can see your friends' interests, get suggestions, & more. 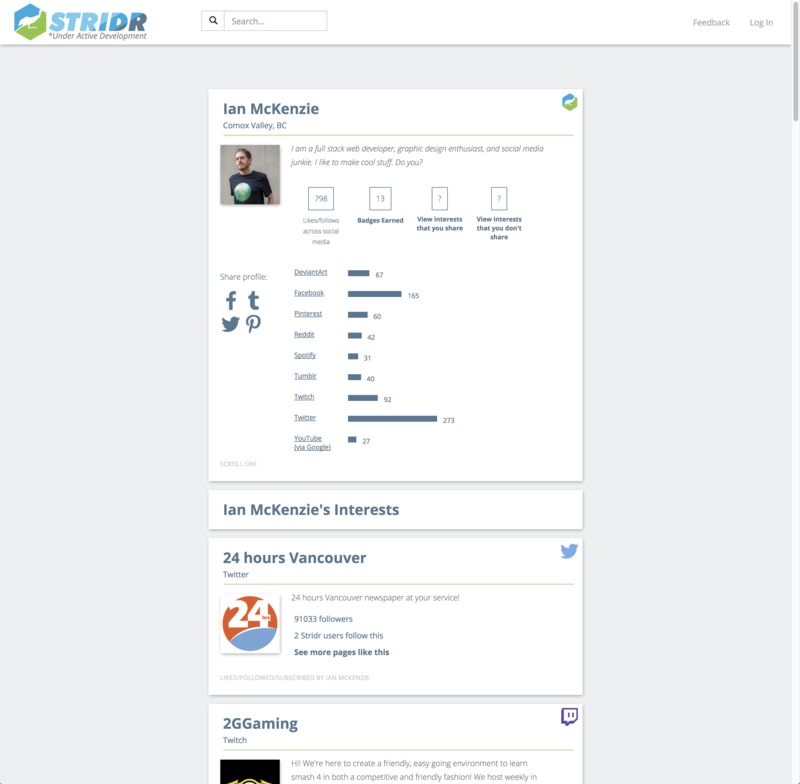 The idea for Stridr came from signing up to major platforms for the first time and finding nothing that could assemble all of my social feeds into one place. I wanted to find new people and things to follow based on what I already like, without having to navigate all of these platforms blind. Every time I tried to find an ‘all-in-one’ social media app, I only found apps for social media managers, but nothing for the social media USERS. 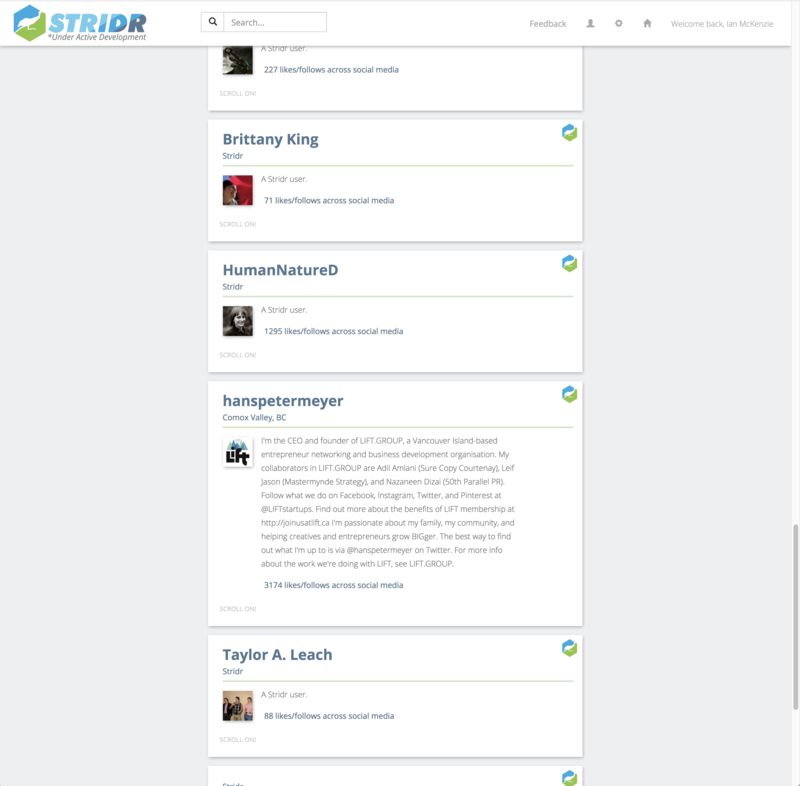 In this way, Stridr stands out from all the rest. 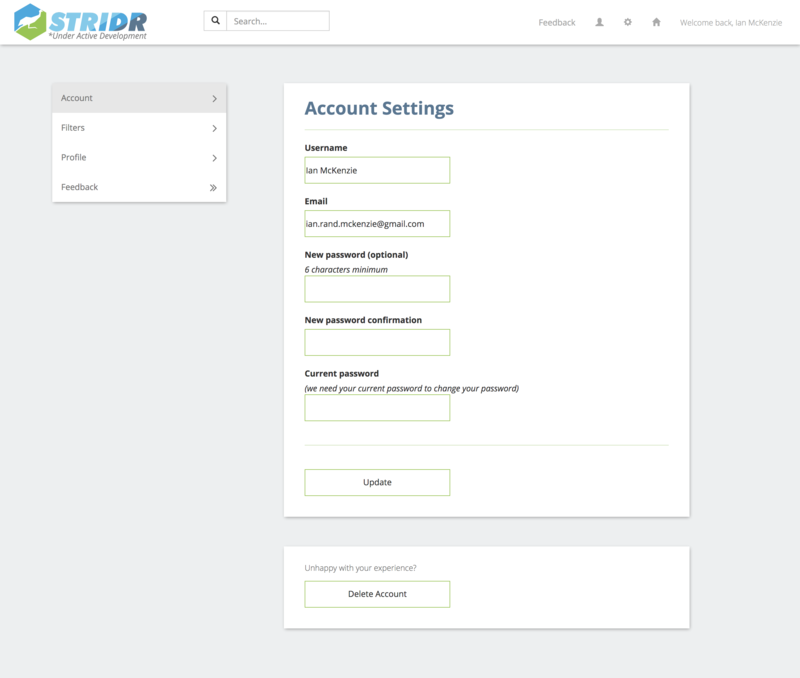 Below is a brief walk-through of what Stridr is, followed by a description of the challenges faced from creating it. All of your social feeds in one place. Supported platforms include DeviantArt, Facebook, Pinterest, Reddit, Spotify, Tumblr, Twitch, Twitter, and YouTube. A hub for finding your favorite people across social media and to discover their interests. 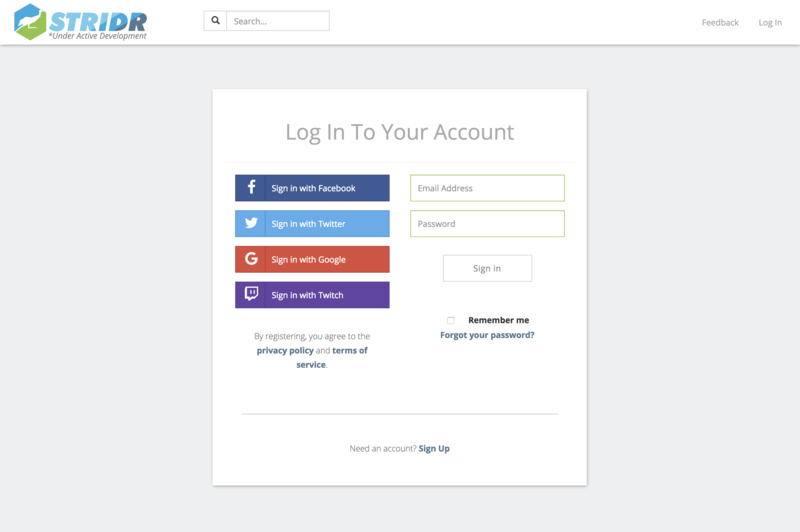 Log in and sync your accounts to discover what you have in common with your friends and those you follow. Find new things to follow by looking at what your friends like. Find your friends on platforms you didn't know they were on. Find your friends (below) and view their profile (above). Find new things to follow based on what you already like through the recommendation feed. Customize your experience and manage your presence. 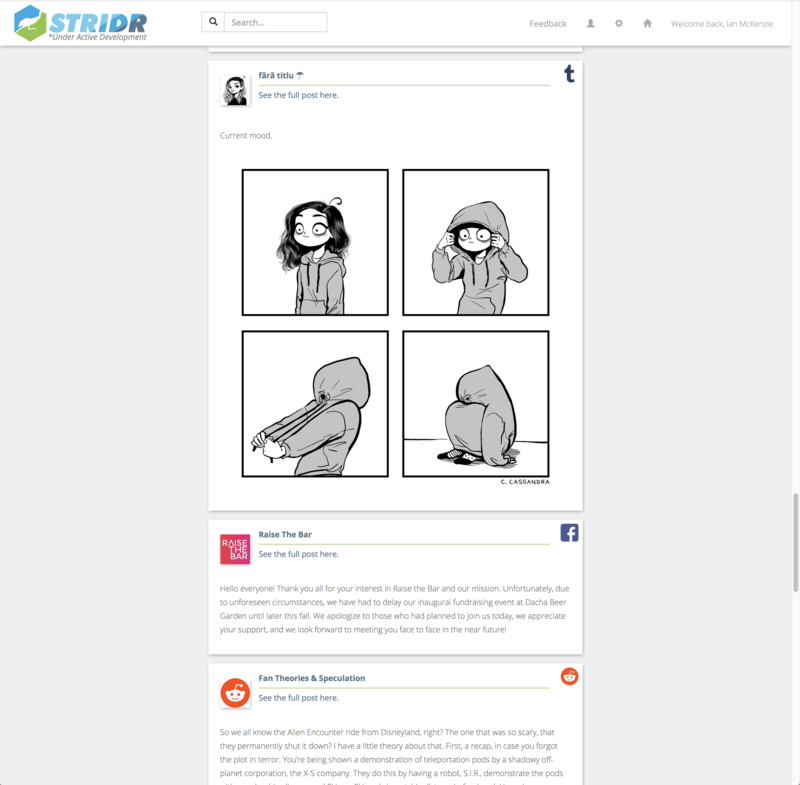 Stridr is built on Ruby on Rails. OAuth1 and OAuth2 authentication flow. Stridr is operating under the principles of being lean with agile development and an imperative of designing value. 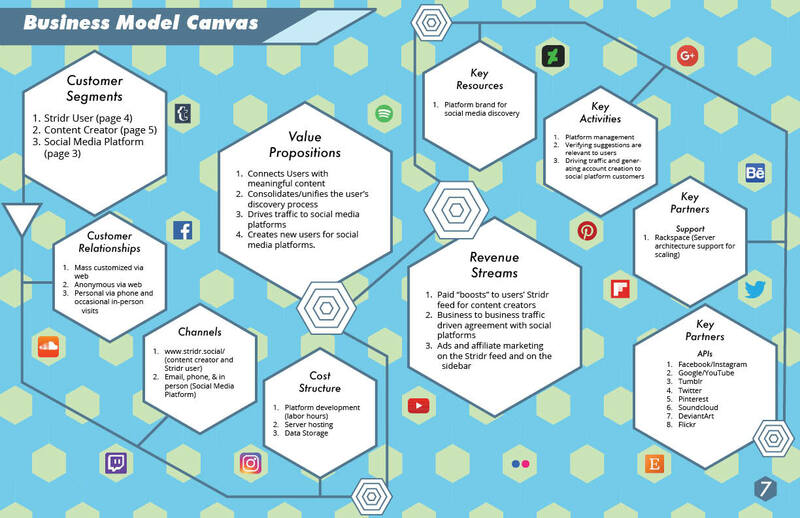 With this in mind, the business plan, business model canvas, persona profiles, and value proposition canvas were created to establish a solid foundation for the product and its future. 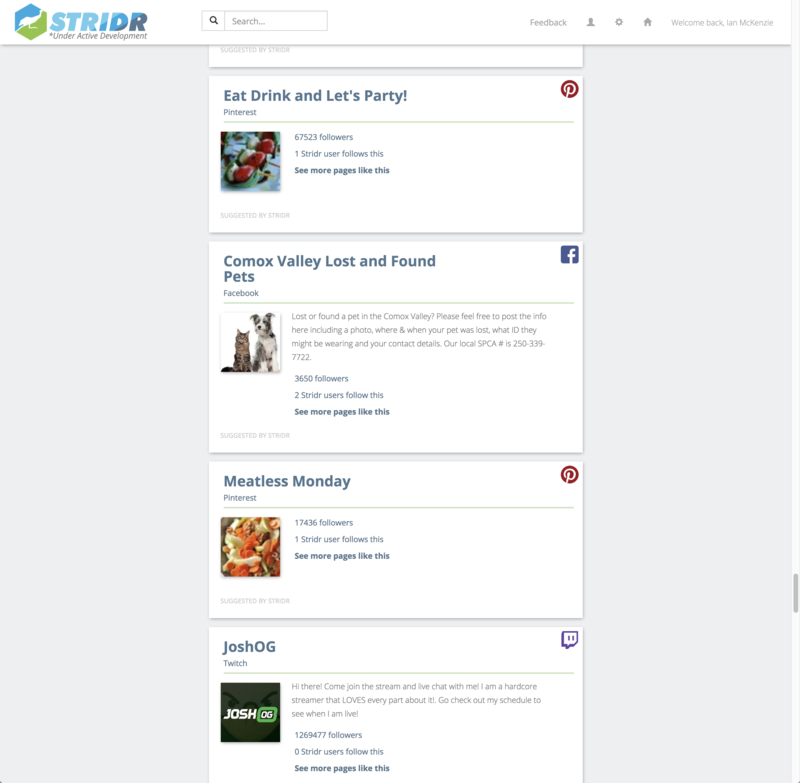 As of Jan. 2018, Stridr has been set aside indefinitely. For more info, see this post. This document was written and published by @ianrandmckenzie on 2017-10-26 07:45:02 UTC.